If an inventor discovers that he or she has failed to claim all that he or she could have in an issued patent, the patent statute provides a mechanism for going back and adding additional claims during a reissue proceeding. Certain requirements must be met before the patent office will allow such a correction. As the patent holder found out in a recent decision by the Federal Circuit in Antares Pharma, Inc. v. Medac Pharma Inc. (No. 2014-1648), failure to comply with these provisions can render the new claims invalid and unenforceable. The inventor in Antares developed an automatic injection device to self-administer pharmaceuticals that involved using a needle to puncture the skin of a patient before administering a dose of medication. All of the claims in the original patent involved a “jet injection” limitation. Almost two years after the patent issued, Antares realized that it had failed to include claims directed to safety features on the injector. Because two years had not passed yet, Antares initiated a reissue proceeding with the USPTO under 35 U.S.C. § 251, which allows a patent holder to broaden or narrow claims if initiated within two years of the patent being issued. Antares then added a number of claims to cover safety features on general injection devices, and not just jet injection devices (see No. RE 44,846). Antares filed suit against Medac, alleging that, among other things, it infringed some of the new claims that emerged from the reissue proceeding. Antares sought a preliminary injunction, but the district court denied the request after concluding that the new claims did not satisfy the original patent requirement of the reissue statute. Antares appealed, and the Federal Circuit affirmed. Under § 251, a patentee that wants to add new claims that broaden the scope of the claims of an already issued patent must satisfy a number of requirements: (1) the reissue application must be filed within two years of the issuance of the patent; (2) the new claims must not violate the recapture rule (i.e., claiming scope that was surrendered during prosecution); (3) the new claims must not violate the original patent requirement; and (4) no new matter may be added to the specification. At issue in this case was the third requirement—the original patent requirement. 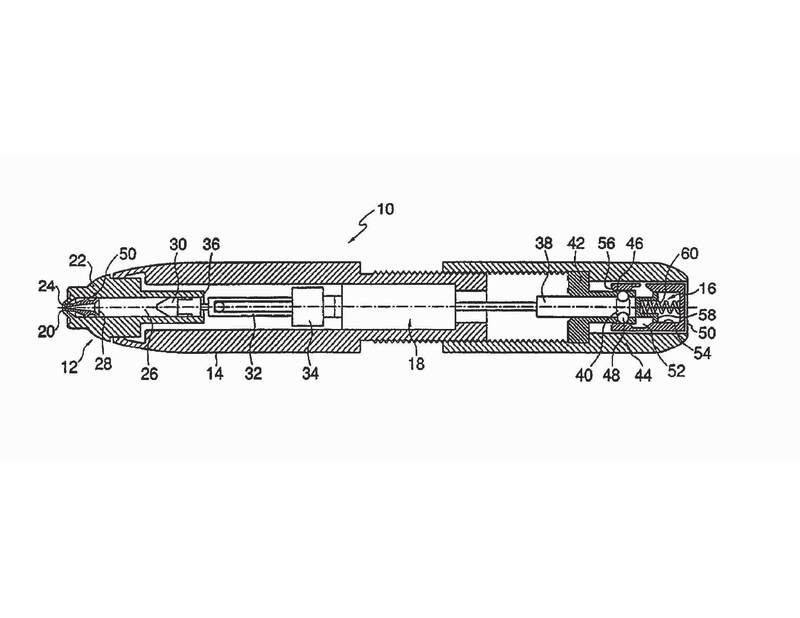 Antares’ patent specification only described the safety features being on jet injection devices and repeatedly stated that the invention related to jet injectors. It did not generically describe how to use the safety devices with other types of injectors. Based on the limited nature of the specification, the Federal Circuit agreed that the new claims were invalid because they were directed to safety features on generic injectors that were not explicitly and unequivocally disclosed in the specification. The Federal Circuit contrasted this result with that of another case, In re Amos, 953 F.2d 613 (Fed. Cir. 1991). In the Amos case, the patentee broadened his claims that were directed towards an invention for holding down work pieces on a moving table using rollers. In the specification, the patentee described how the rollers could be raised via mechanical or electronic means, but only claimed the mechanical version. During reissue, the patentee added claims directed towards the electronic version, which the Court found acceptable because the specification explicitly discussed that embodiment. The reissue statute is a powerful tool to add new claim scope to issued patents. Care must be taken, however, to file the reissue application within the two-year period and to make sure that the new claims do not add scope that is not well-supported by the specification. This decision is another reason that patent drafters need to be careful when drafting the specification. The patent statute provides some opportunities for fixing claims, but it is difficult to fix a specification if it is lacking and the consequence can be losing claim scope that could have been otherwise available with better drafting. This entry was posted in Patents and tagged Federal Circuit, Original Patent Requirement, Pittsburgh Patent Attorneys, reissue patents, Section 251. Bookmark the permalink.